I got into underwater photography back in the early 1980’s after nearly getting burned out on scuba diving. I was certified at age 15 in Victoria, BC and by age 18 was working part time as a Scientific Diver deploying giant plastic bags for pollution experiments in Saanich Inlet and had received all kinds of technical diver training. After I moved to Seattle in 1977 I helped teach diving as an assistant instructor but had little time for recreational diving with a heavy College schedule. Even after College the love of diving seemed to have vanished. In 1983, a diving friend practically dragged me to a slide show given by a Renton, Washington State dive shop owner and pro underwater photographer, Joe Liburdi. Seeing his underwater images projected on a big screen totally changed my life. 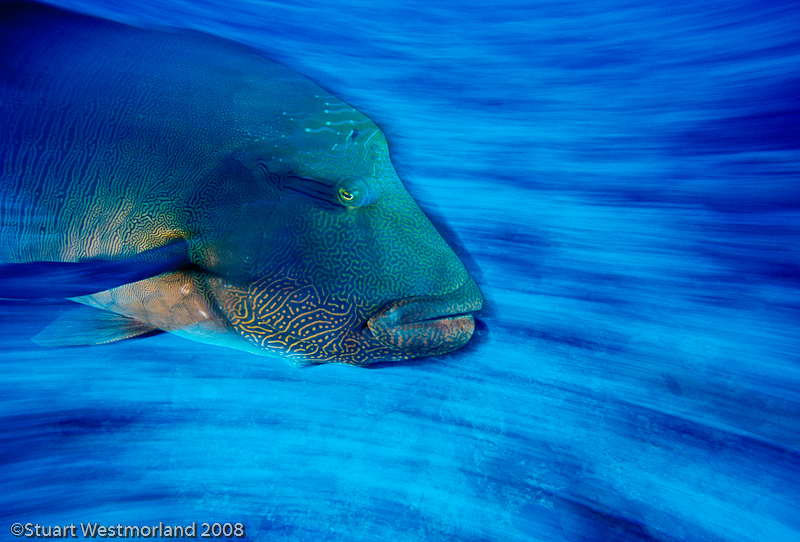 It reignited my passion for diving with a goal to make a living at underwater photography. I read every book I could find on this new pursuit, which, at the time, was only three. I began my quest armed with a used Nikonos 3 body, a 28mm Nikonos lens, and a subsea lead acid battery operated 100 substrobe. By my third roll of any kind of 35mm film exposed, these newbie images won local, national, and international photo contests. Granted there were far fewer people shooting underwater back then, but the equipment really required a discipline that separated the people that dabbled in it from the fanatics like I had become. 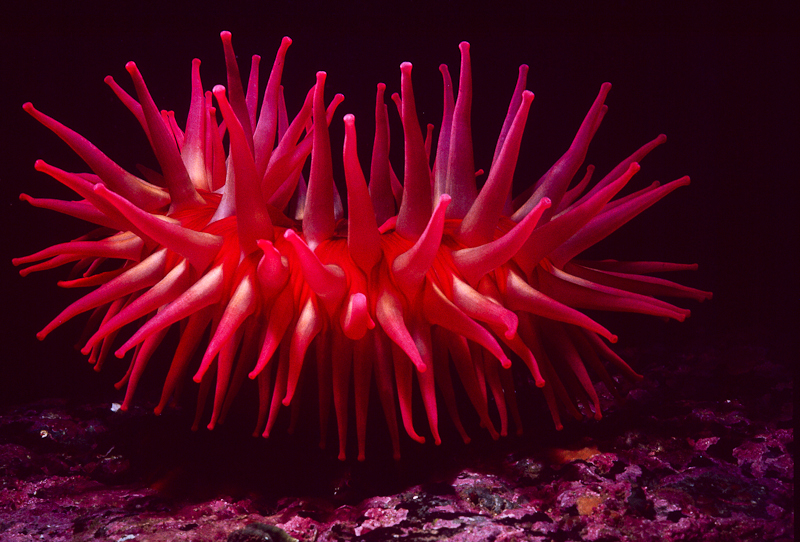 This Fish-eating Telia Sea Anemone was on the third roll of film I ever shot. Lit from above with a single 100 Subsea substrobe, Nikonos 3, Hydrophoto close-up lens, and Kodachrome 64 film. It won a local Underwater Photo Contest, National and International Photo Contests including a trip to Fiji in the early 1980’s. After shooting traditional underwater photography for a decade, I grew tired of shooting the same maximum depth of field, frozen-“flashed” images that everyone else was doing at the time. I noticed that some of the cutting edge Sports photographers were starting to use a panning technique in Sports Illustrated that imparted motion and feeling of the sport rather than a frozen moment. As far as I could tell, nobody else had thought of applying this technique to underwater shooting. A painterly scene from a trip to the Maldives in 1991. 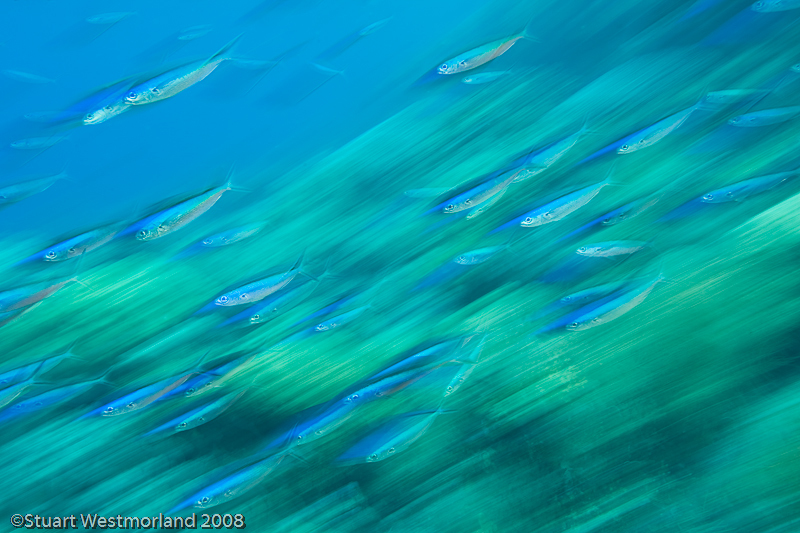 I used a really slow shutter speed of ½ second on an overcast day to render a typical reef scene into an abstract mosaic. 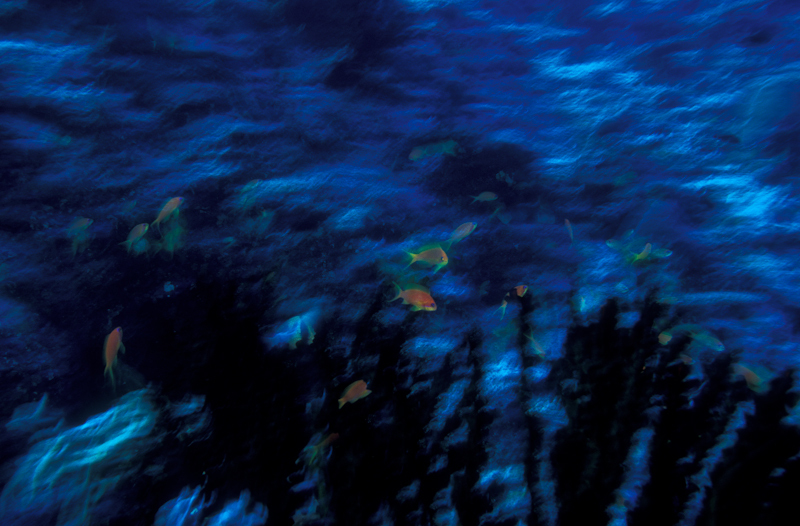 When applying the panning technique to underwater, it was vital to be able to use flash in combination with slow camera shutter speeds or with good ambient light just pan with a subject and use no strobe. Conventional flash is always triggered at the beginning of the shutter activation and for my “motion underwater” images to work with strobe I had to find a way get my strobes to be triggered at the end of the shutter activation. This is also called Rear-Curtain or 2nd Shutter Sync. From the same trip in the Maldives a slow shutter speed of 1/3 second, f13 and Fuji Velvia film and rear curtain sync strobes on Full Power Manual. I started experimenting with motion photography in the early 1990’s. Nikon shooters have had it easy as many of the pro series Nikon cameras since the T90 have allowed this 2nd curtain sync to work seamlessly with just about any strobe. Canon shooters had to wait until Heinrich Hertz recently made a circuit board that allowed the strobes (all designed for Nikon/Nikons TTL flash signals) to work with Canon functions but this was not available until just about 6 years ago. Pro marine photographer Fred Bavendam suggested that I find a way to trigger a canon pop-up flash camera (programmed for rear curtain sync) with Ikelite slave sensors stationed near the clear lexan Ikelite housing. This allowed me true TTL and rear curtain sync way before the Henrich circuit boards were available. Shooting with film cameras, this experimental shooting often resulted in most of the frames being tossed, but the unique results kept me experimenting and excited about the occasional image. 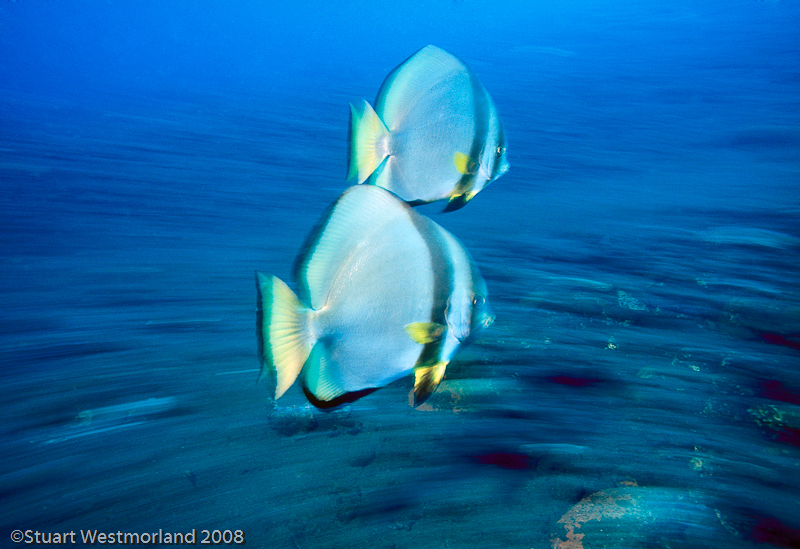 The pair of Batfish were photographed near Walindi Resort, Papua New Guinea with a slow panning exposure of ½ second, f16 and full power manual Ikelite 200 strobes. By testing extended shutter speeds from 1/15 to 1 second I move and pan my camera at the same speed of the subject I am photographing. I can finally express on my recorded image the feeling of movement, motion, and thrill with normally distracting backgrounds of corals and other fish as they magically transform into a painterly mosaic of fluid color. The biggest compliment about this type of experimental photography is being told that my images look more like paintings rather than photographs. 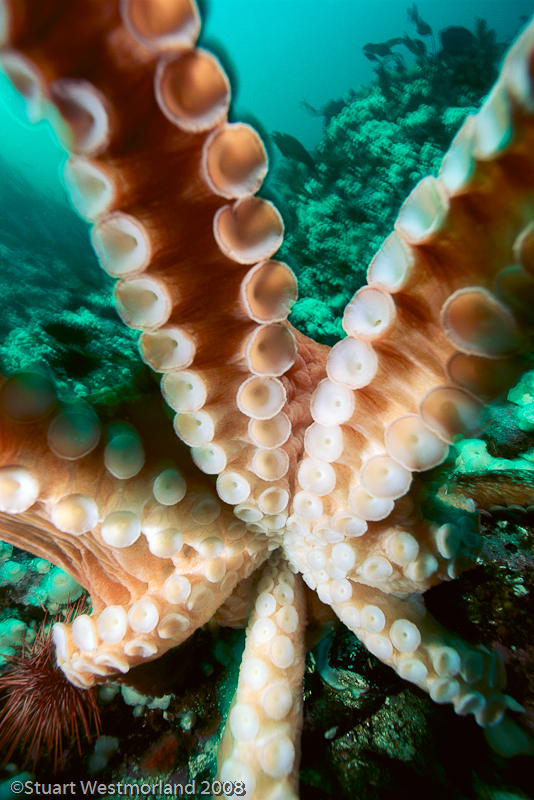 This curious Giant Pacific Octopus actually wrapped his tentacles completely around me. Luckily I had a 14mm wide angle lens and slow shutter speed to capture the motion of the moment. Today’s digital photographers will never understand how much work went into shooting quality underwater photographs in the dinosaur film days. 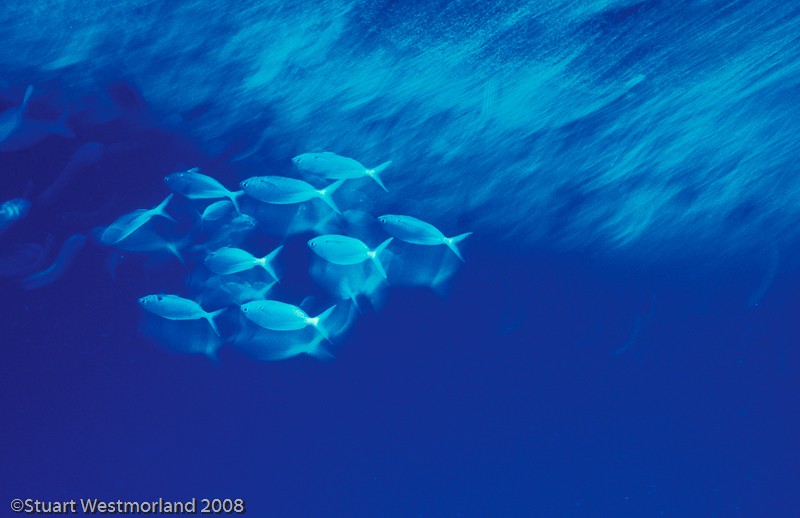 However, the industry really valued the unique images and a handful of marine photographers could actually make a very good living from our passion. 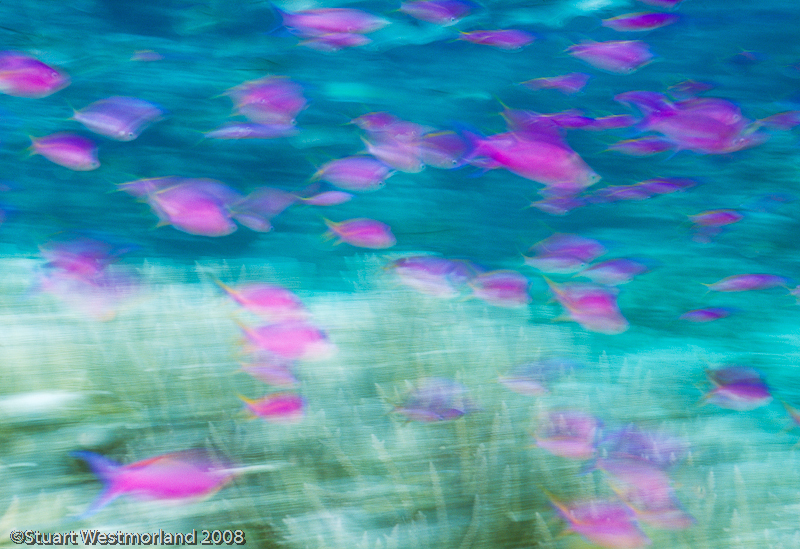 These Purple Anthias were schooling at Great Barrier Reef in Australia. Digital changed everything including the ability to make a good living in photography. I feel very fortunate to have been in the business at a time when magazines had big budgets and assigned a separate photographer and writer for a feature story. Creativity in photography has never been more available to the masses with tremendous advances in underwater equipment, lighting, and superb informational magazines and forums. Instead of trying to copy something already done find a way to express your passion in a new and unique way. Using my digital housed Canon 5D, 17-40 wide angle zoom, Heinrich circuit board, and Ikelite 200 strobes on full manual power at Wakatobi Resort, Indonesia.